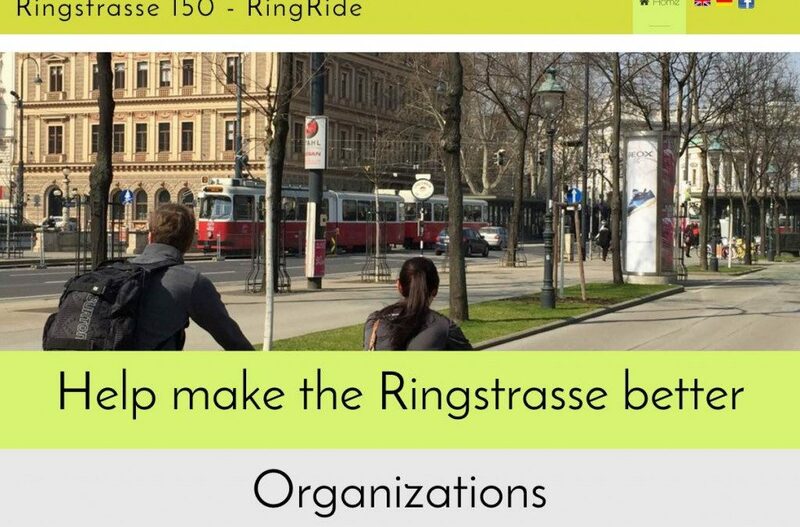 My Ring Ride – Ringstrasse150 project is being awarded an honourable mention award at the 2016 US Transportation Research Board Annual Meeting – Yea! Repurposing Travel Lanes for Multimodal Projects – Workshop 114 – Analyze This! What Planners Want to Know; Andy Nash, Green City Streets with Natalie Stiffler, City of Boulder. The workshop considers three problems, our problem considers the evaluation of and communications about the potential congestion impacts of sidewalk widening, bike lane, and transit lane projects. We’ll use Boulder’s Folsom Street project as a case study and try to develop strategies for improve the evaluation of these projects and communications about congestion. Sunday 10 January – 9:00 AM- 12:00 PM, Convention Center, 140A. Enhanced Resource Conflict Graph Rescheduling Model for Freight Rail Traffic: Introducing Energy Saving; Toletti, Ambra, Valerio De Martinis, Ulrich Weidmann and Andrew Nash; Monday -1:30 PM- 3:15 PM – Session 367 – Current Research on Freight Rail Transportation, Convention Center, 149. Tram Safety in Mixed Traffic: Best Practices from Switzerland; Improving Light Rail Through Operational and Safety Analysis – Marti, Christian, Jonas Kupferschmid, Michael Schwertner, Andrew Nash, and Ulrich Weidmann; Monday – 7:30 PM- 9:30 PM – Session 470 – Convention Center, 143A. Banedanmark TMS: ETCS as the foundation for attractive and efficient railway service; Nash, Andrew; Tuesday – 8:00 AM – 12:00 PM – Intercity Passenger Rail Committee, Marriott Marquis, Capitol (M4). Evaluation of Freight Train Energy-Saving Potential Using Onboard Monitoring Data; De Martinis, Valerio, Ulrich Weidmann, Andrew Nash; Tuesday – 10:15 AM- 12:00 PM – Session 576 – Energy Efficiency Technologies for Rail Transportation – Convention Center, 147B. Ring Ride – Ringstrasse 150 Project; Honourable Mention Award: Communicating with John and Jane Q. Public Contest 2016; Nash, Andrew; Tuesday – 10:45 AM- 12:30 PM – Session 585 – Public Involvement; Convention Center, Hall E.
We’ll be working on the website in the next few days to finish the German version and improve the content. The iOS version will be available as soon as it it approved by Apple. We have rethought the project since our original idea for a website that would include mapping of improvement ideas. 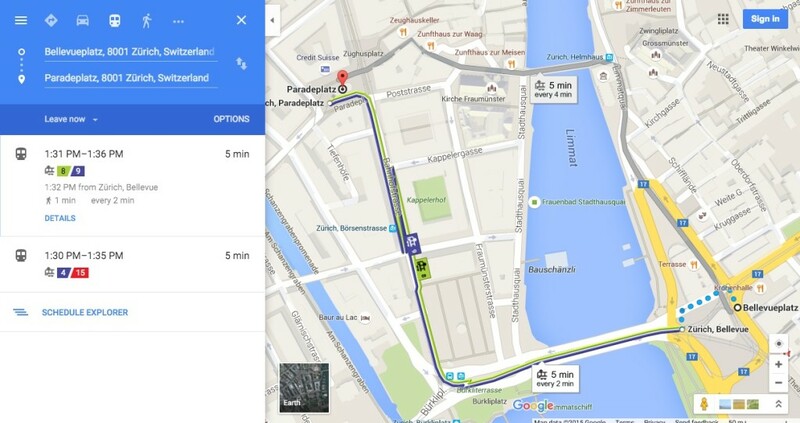 Instead the website now focuses on being a “one stop shop” for presenting information about how to improve walking and cycling in a city – in our case Vienna’s Ringstrasse. We’ll add learning elements to the website later. The main reason we decided not to include improvement mapping is that many cities already have these websites (including Vienna), so we’ll focus on trying to get people to use these existing websites. If this project is successful similar websites could be developed for other cities following the same model. Here’s more information about the project and what we hope to achieve. 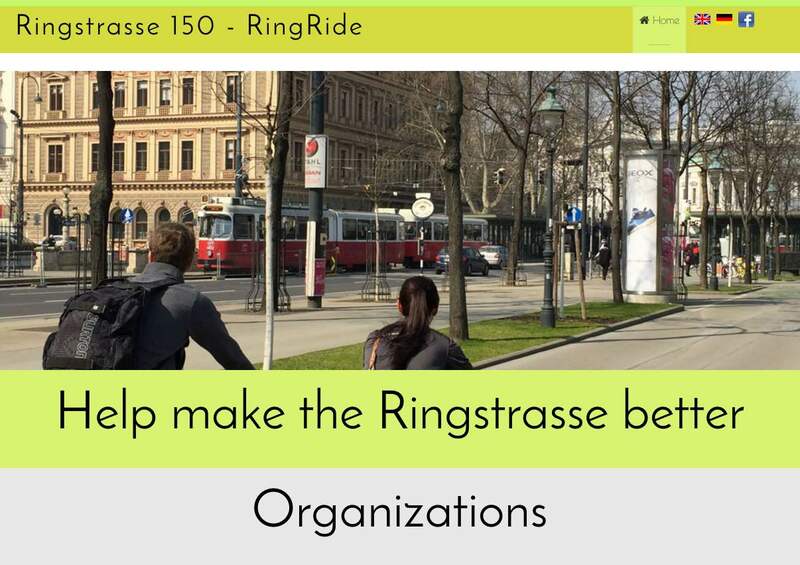 The goal is to increase support for walking and cycling improvements by creating a game (Ring Ride) that will introduce new people to organisations, activities, ideas and resources for walking and cycling in their cities. 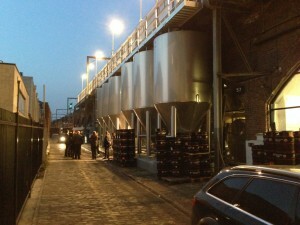 Camden Town Brewery London – Tour in progress. The Urban Data from Fetish Object to Social Object conference in London (see previous post) was fantastic, lots of great ideas discussed by people doing really neat things with social data. Sjors Timmer did a nice post about the conference. I enjoyed my trip to London, a city I have not visited for some time. Mostly I walked around and enjoyed the great weather, sunny and 20 degrees the whole time. Of course I found time to sample some traditional beers at the Churchill Pub in Kensington (great Thai food too), the Camden Town Brewery (see photo – next time I’ll plan ahead so I can go on one of the Thursday evening tours!) and the Carpenters Arms in Bloomsbury. 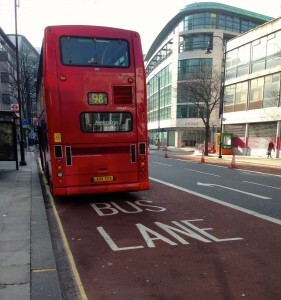 On Saturday I rode a double decker bus on Oxford Street … the view from the top front makes you really appreciate the skills of the bus drivers … pedestrians all over! Then on to the London Transport Museum‘s Acton Depot where there was a special open house (see photos). The Depot is where the Museum restores objects and keeps objects for which there is no room in the main Covent Garden museum building. It’s only open a couple weekends a year and I was lucky enough to be there for one! 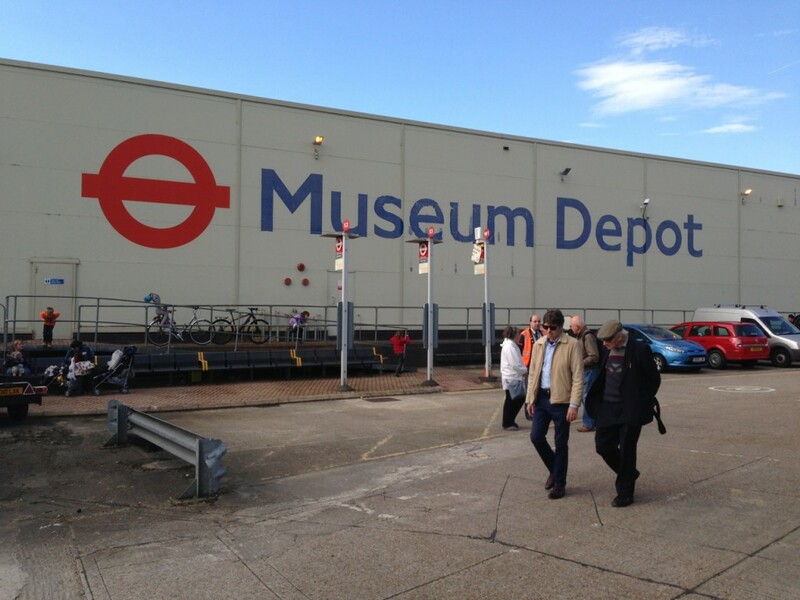 My flickr photos of the London Transport Museum Depot are in my flickr photos of transport museums. My flickr photos of London.